This is something that I’m asked about quite a lot so I thought it was time to give you the updated version. I have posted about this in the past though like all of us, I change and so does life. 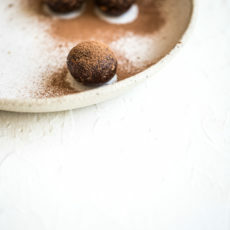 The journey develops and naturally so does how we eat however for me, my food focus remains the same. It’s all about whole foods, eating as close to nature as possible and keeping it simple because eating need not be complicated or extreme. Finding a balance between eating what I love and what makes me feel nourished and satisfied. Like you, each day is different and of course what I eat changes too. Some days I eat more, some days less and some days I even drink wine and have dessert (yes I’m human!) however what has become more and more vital to me is tuning in to my own instincts when it comes to food. Eating when I’m hungry and not because it’s lunchtime, consuming the amount that I need to feel satisfied instead of full and listening to signals that tell me when my body doesn’t like something, or when it does! I tell you it’s the greatest job on Earth! Except for the mornings that I do an early yoga class, I wake up around 7 and head straight to the kitchen for breakfast. I have a nice healthy appetite in the morning and rotate between options to keep things interesting and respond to my body’s needs though I often find enjoy my homemade gluten-free granola served with almond milk and fresh fruit. 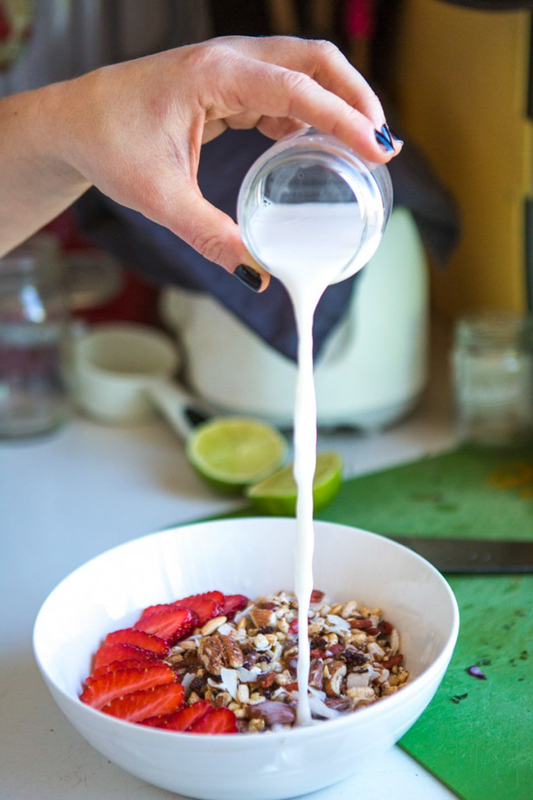 This granola is easily made in advance so getting it together in the morning takes seconds. 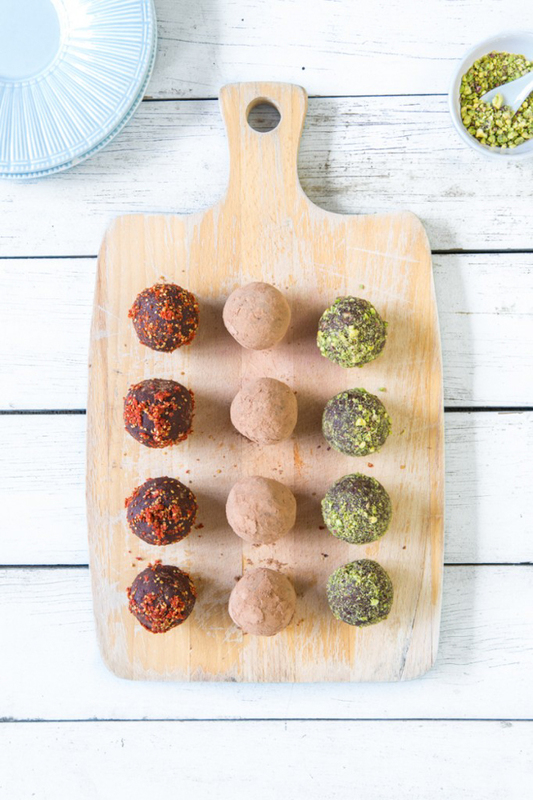 It also provides the body with protein and saturated fats, balancing blood sugars, offering energy, focus and keeping you fuller for longer. 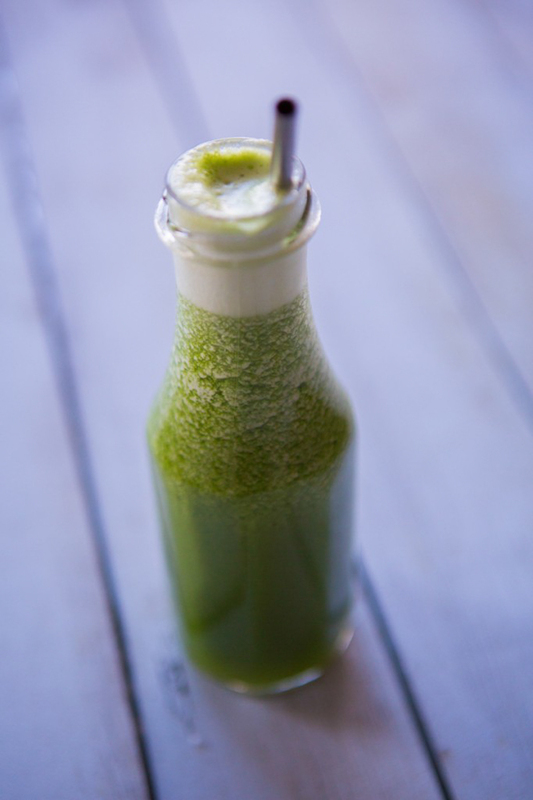 As the weather warms up I also enjoy a green juice alongside my brekkie and find myself far more alert and cleansed when I do so. Whether I’m working from home or not, I like to enjoy a cup of French earl grey or green tea just after breakfast as well – my thermos come in handy! Coffee is a stimulant that I treat as such and a pleasure that I enjoy several times a week. When I do, I tell you a little work or people-watching over a soy latte is one of life’s greatest pleasures. After a busy morning working, I take time out to put a delicious lunch together. Spending a few hours per week preparing delicious options means that a satisfying and nutritious lunch is never far away. Lunchtime is also when I like to check in with my water intake for the day so far. I’ll either make myself another herbal tea or top up that water bottle and stay hydrated. Did you know that hunger is often thirst disguised? Stay in tune with your body and keep hydrated! 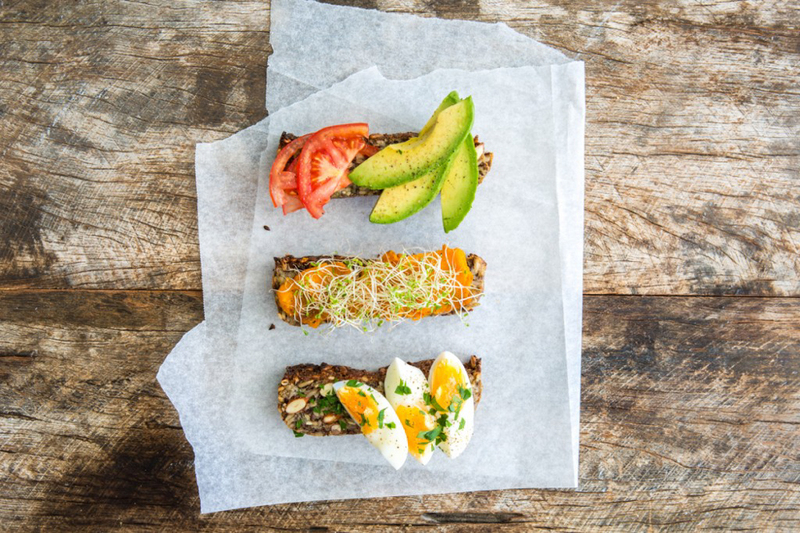 My nut & seed bread served with a variety of yummy toppings always feels like such an indulgent lunch and is certainly a favourite! Toppings include coriander pesto, hard-boiled eggs, avocado, tomato, smeared pumpkin, goat’s cheese, hummus and sprouts though you really can’t go wrong here. Enjoying this lunch means a great balance of protein, fat and carbohydrates that provides me with adequate energy to keep firing for the afternoon ahead. If I’m not working from home, I’ll have something easily transported, packed and ready the night before so there’s no excuses in the morning. 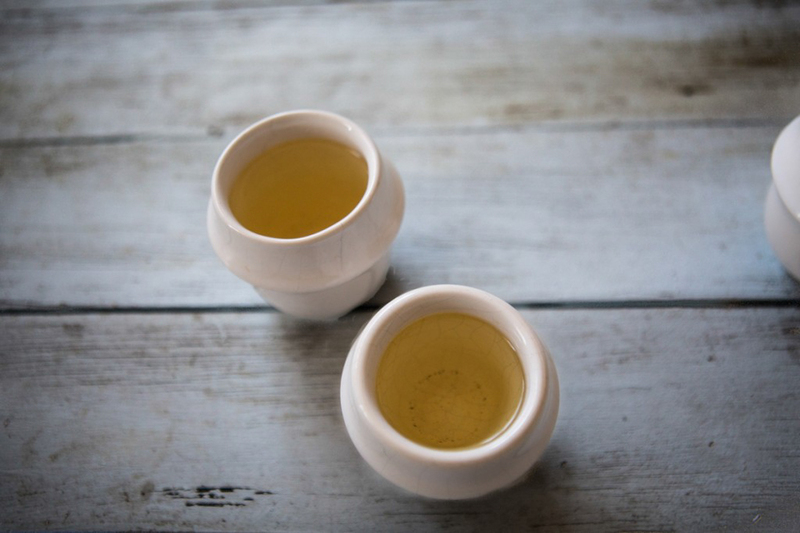 I drink varying herbal teas throughout the day, especially in winter instead of water as it can be harder to get motivated to drink when it’s so cold outside. 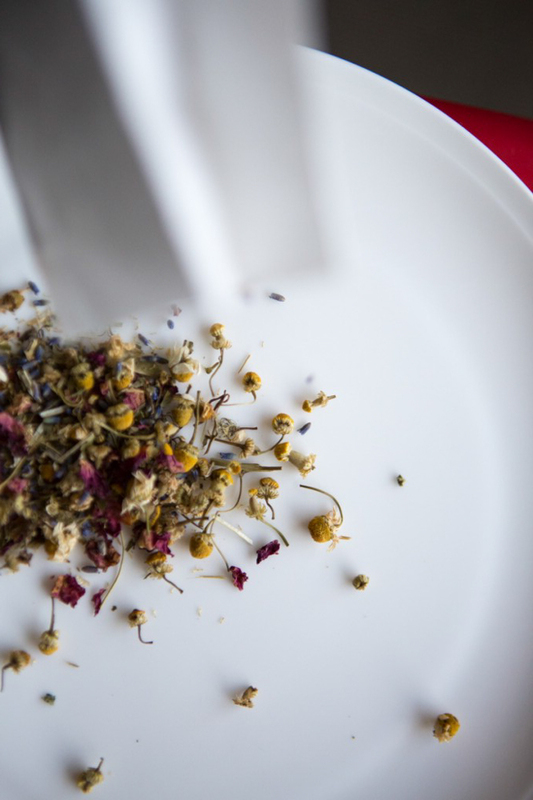 Always in high rotation are 2 tea blends – chamomile for its’ lovely calming effect and peppermint for its’ soothing and delicious qualities. 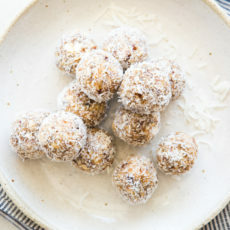 Depending on the day, if I feel like something to get me through the rest of the afternoon before hitting the gym, raw cacao protein balls are pretty much always in the freezer and ready to go. 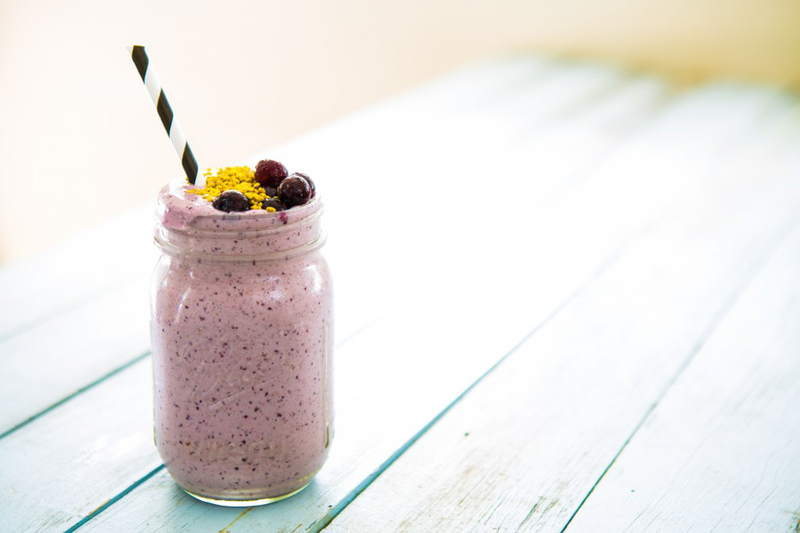 Post-training I often refuel with a protein smoothie – frozen banana, frozen berries, almond milk, almond butter, protein powder and bee pollen is one of my favourite combos. A little more work in the afternoon and then dinnertime arrives! Tippy and I like to prepare dinner together and having spent time preparing basic elements, like vegetables, quinoa or rice and homemade pesto or hummus means there’s not much left to do. 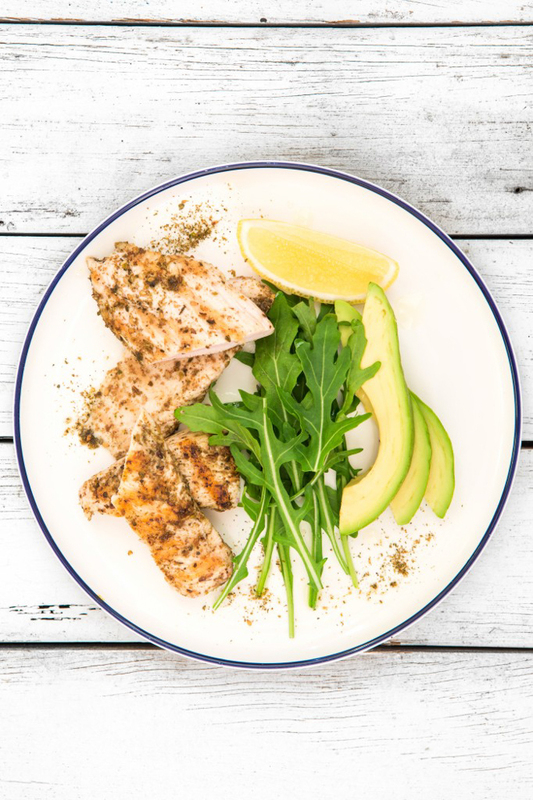 We are known to do “throw-togethers” in our house which literally means loads of the above in a mixing bowl though a simple favourite is this Za’atar Chicken & Mint Salad from my eBook. Eating and exercising as I do, my blood sugars are well balanced and as such I don’t crave sweet foods after meals however a soothing peppermint tea (or two!) is always in order. Assisting digestion and offering lovely nourishing properties, even those not so into herbal teas tend to enjoy this one. If I’ve had a particularly busy day I tend to enjoy a chamomile tea to help relax and allow body and mind to unwind before sleep. Sleep is the most precious commodity in my eyes, it really is like magic! It’s when our bodies heal, repair and rejuvenate; a reset for body and mind and each of us have our own unique requirements. Ensuring 8-9 hours sleep is a priority in my life and provides me with optimal energy and vitality each day. No matter how busy or what I have going on, I like to get into bed around 930, flick through a few pages on my Kindle and naturally drift off to sleep. My hope is that by sharing how I eat in a day, you’ll feel more inspired towards optimal health and wellbeing for yourself. No matter where you’re at on your journey, eating natural whole foods and listening to your own body’s signals is a great place to focus your energies. For more inspiration you can check out my eBook available here for download on all devices. 2 Responses to "A Day On My Plate"
Can I live with you? Looks amazing!